UK techno stalwart Al Matthews a.k.a. Bleaching Agent in twisted effect for Overlee Assembly's 5th release, Perc on remix detail. BA's three original reveal a cleaner, dynamic sound when compared with his grittier, abrasive deviations on Opal Tapes or Shifted's Mira label. 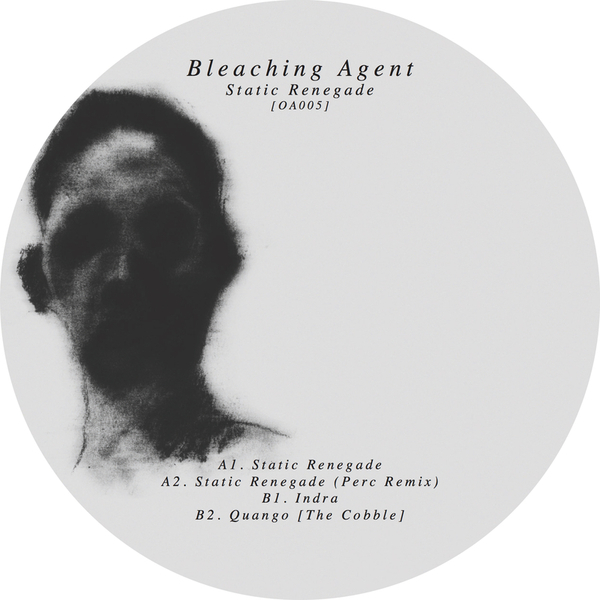 They're more focussed on chewy grooves and knotted synths, at best in the polychromatic warp of 'Static Renegade' and the sloshing acid cadence of 'Quango (The Cobble)', whilst Perc ramps 'Static Renegade' to a rattling peak time techno play.